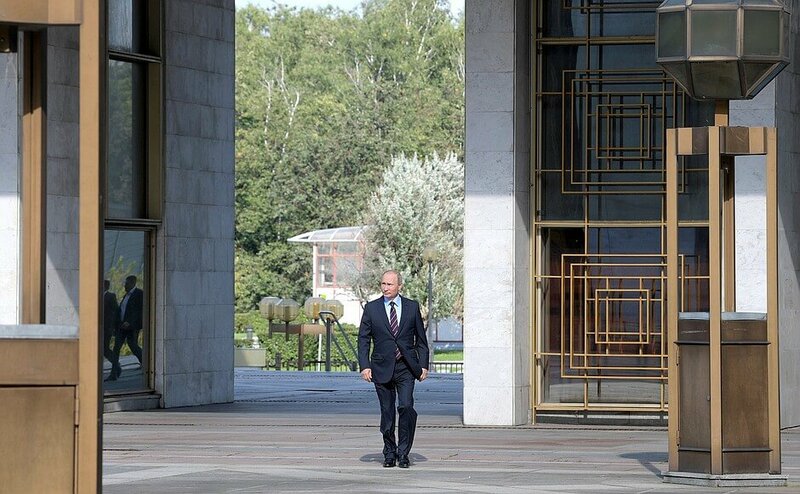 President Putin visited polling station No. 2151 in Moscow's Gagarinsky District and cast his vote in elections for deputies of local self-government bodies. 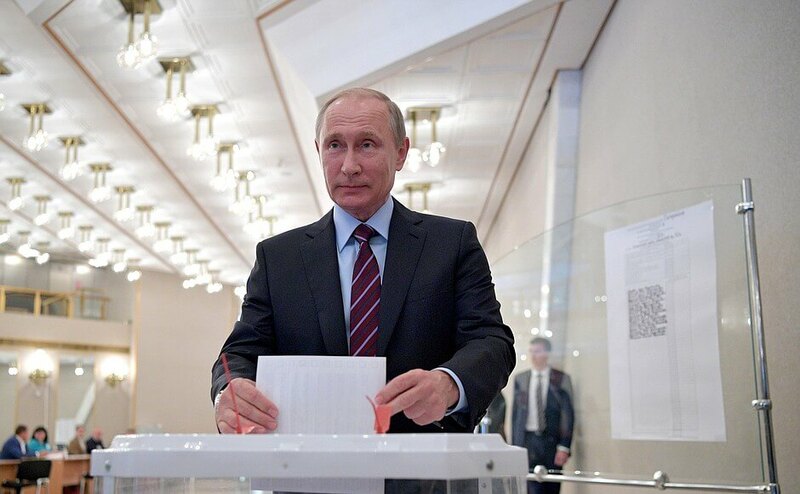 Vladimir Putin cast his vote during municipal elections in Moscow. On the unified voting day, elections of various levels take place in 82 regions of Russia. People are voting for top officials in a number of Russian Federation's constituent entities, regional parliament deputies, and representatives of municipal authorities. For whom have you cast your vote? Did you follow the election campaign? 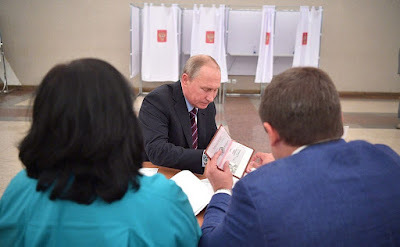 President Putin visited polling station No. 2151 in Moscow's Gagarinsky District. Mr. President, will Russia offer aid to Cuba following Hurricane Irma? Yes, we are ready. Emergencies Minister Vladimir Puchkov has already offered help. We are prepared to help. 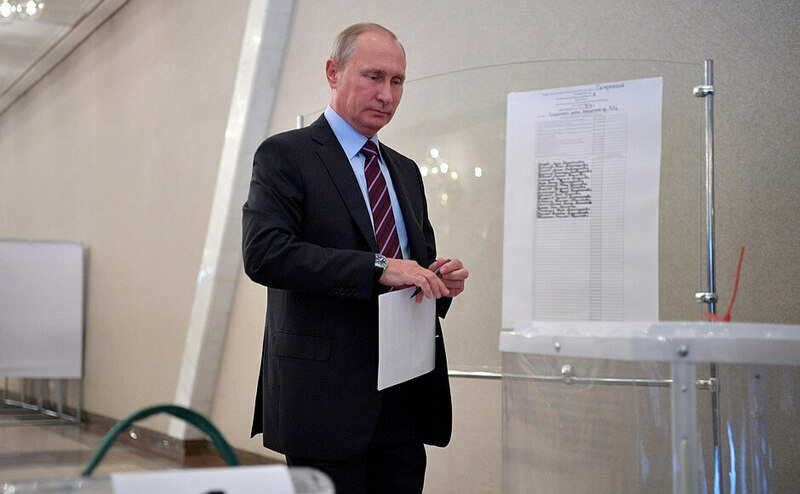 Vladimir Putin voting during municipal elections in Moscow. Where do I know the candidates from – well, I've read their biographies in advance. So, it was an informed choice? As you can see, voter turnout is rather low. I can see it, yes. But there are many of you here. Russian President visited polling station No. 2151 in Moscow's Gagarinsky District. Our turnout is 100 percent as usual. Not bad at all. That journalists are showing interest in municipal elections is also a very important thing. But this isn’t the case with residents. There are going to be more, the day is still young. After they watch the news about your taking part. 0 Comment to "Vladimir Putin cast his vote during municipal elections in Moscow"